At times like New Year, we think about our relationships and how we can thank them for the cooperations and bring best wishes for the year to come. Therefore we choose to give to those who need help the most. We trust that you will join us in wishing them a Happy New year. Here are the 3 different projects or ngo’s that we personally got to know and started to support. By preparing food for the children, we provide work to adults as well. The ingredients are being bought in large quantities to reduce the cost and the meals are being prepared at school. 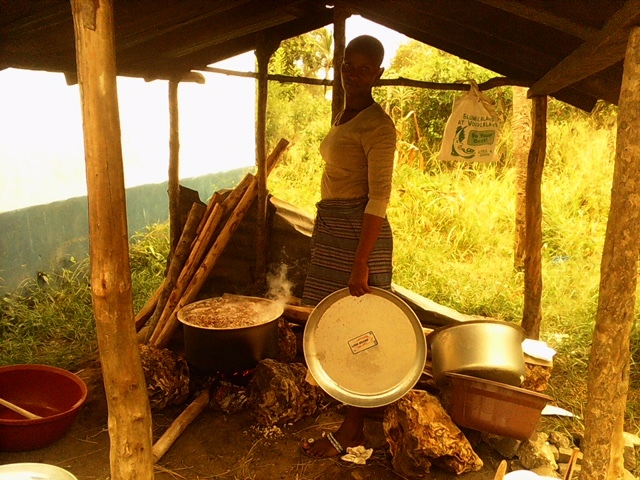 Here to, money is needed to equip the school kitchen so that it can be done more efficient. In 2016, a new kitchen will be constructed. Cara Nova Rainbow Center" is a recognized non-profit organization in Uganda working in Kalisizo in Rakai district. The project has two main objectives, both directed at orphan children who really need their support. Cara Nova Rainbow Center gives orphan children a chance to go to school, from 5 to 18 years. They give a good education in order to get a diploma, because that is vital in Uganda. So the students will find an opportunity to work, to survive and to help their family. At this time Cara Nova Rainbow Center support 125 children over 2 local schools. They help them pay school fees, buy books and pens, uniforms, clothing and footwear. Such an approach, however, is long-term viable. That's why they want to build a private school in the future so that they can give a better live to even more orphan children. In addition to training, there is also support necessary for basic necessities. So Cara Nova Rainbow Center helps 'the guardians', the people who give the orphan children a home. These are often grandmothers or grandfathers, uncles, aunts, sisters, brothers or even just strangers who take care of the fate of these children. They help them with clothes, mattresses, blankets, medicine and other supplies. 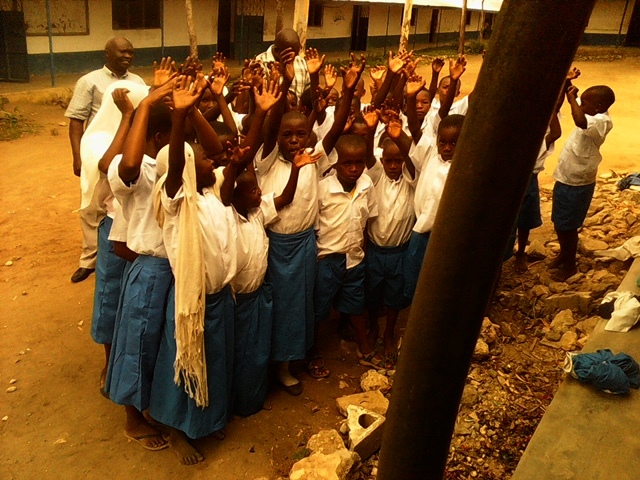 They involve them in the school, to get them out of their hopeless situation. Furthermore, they are also involved in a number of structural projects. Besides the construction of the school, they commit themselves to encourage local businesses such as a chicken farm. Also, they focus on the construction of wells which, important for daily use and even for local agriculture. « VZW Moeders voor Moeders » gives immediate, material help to mothers in need. The charity organisation only works with volunteers, receives no subsidies, and can only survive thanks to material and monetary donations. We help mothers who are in deep financial difficulty. They are referred to us by welfare, doctors, hospitals,priests…It concerns mainly families that are missed by the social care system: poor, people with heavy debts, drugabusers,families with a chronically ill child, divorce victims …More than half of the families are Belgian.At the first meeting the mothers are financialy screened by our own social service. After balancing income and spending, they decide if the family can be eligible for help at Moeders voor Moeders . Sadly enough we have to keep the acceptation criteria extremely tight. Even when the answer is negative, the family is at least helped once. When Monique Verdickt ( mother of 7 ) was asked several times for hand- me-down clothes for immigrant families arriving in Belgium, she realised there was a need for free second hand clothing. In Mai ’92 she decided to act , and contacted friends and relatives to donate childrens clothes. The first volunteers joined her. Started in a students room , passing through a large garage, we now own 4 adjacent properties landed in 2 houses, property of the City of Antwerp, located in the Helmstraat 87-89 in Borgerhout, Antwerpen. The City rents us these premises for a nominal rent. Our charity was officially instituted on June 8th 1994. Quiet fast we realised that other sevices might prove helpful Prams, cots, playpens… are very expensive to buy and the distribution of those proves to be a considerate saving for needy mothers. Toys, books ,boardgames… are collected throughout the year to be presented to the children by Saint Nicolas around Dec 6th . On this occasion the kids ( 0-12 yrs) receive a large bag of toys and a parcel of fruits and sweets kindly donated by a sponsor. The idea for the RestoBébé was the result of a survey amongst the mothers. This facility offers a possibility to bathe the children and feed them a healthy meal. The Resto- Bébé was officially opened by Minister Wivina Demeester in January 1995. Every working day a volunteer Doctor tackles the medical problems of the children. In 1995 we joined the Alimentation Bank in order to receive part of the leftover E.U. produce.Twice a week , at the early fruit and vegetable market,we collect rejects that would otherwise be distroyed or turned into cattle feed. Some shops and companies donate provisions that are close to their due date. We also use financial donations to buy extra food as to provide the families with a dietary balanced food parcel. In March the children who are planning for a first communion or a confirmation, can come and choose festive outfits and we take them to a shoeshop for a pair of brand new shoes.At the start of the schoolyear we offer second hand uniforms and schoolbags and new school supplies which we collect throughout the schoolyear. In 2000 we started the monthly distibution of « personal care » parcels. These vary from month to month according to the products we receive – eg. Soap, toothpaste, bleach / or Shampoo, sanitary napkins, washing powder. Once a year every family can get a set of bedlinnen and bath linnen for each family member, and blankets if necessary. Pregnant women can choose maternity wear and nightdresses for the hospital. In 2000 we added a hairdresser salon which was installed and is manned by last year students hairdressing from a school in Deurne. The mothers pay only 50fr for a « cut and blow ». Another addition is the « sewing corner », where the ladies can learn to mend clothes or have certains adjusted to the measurements of their windows. This is supervised by retired teachers. De Vleugels focusses on people with intellectual disabilities, both minors and adults, with any additional restrictions. In addition, persons with NAH (non-congenital brain injury) are also welcome. They have extensive experience and expertise in supporting and guiding people with both minor and very intensive support needs. The clients determine the intensity of the support yourself. They try - together with the client- to find an answer to your request for support. De Vleugels believes in the power of hippotherapy. Hippotherapy is a guided activity with the horse as a partner where the contact can contribute to an improvement of the quality of life of the client on a physical, mental, psychological and social level. The relationship between the client and the animal, the handling, the contact, the riding, the movement impulses and the symbolism of the horse can be used to achieve different treatment goals. In our work the horses are used in various activities, such as adapted horseback riding, a covered bed, snoezelen, covered wagon tours and the like.